Great news for those who though that they had missed out on this year's concerts for Mencap's Little Noise Sessions at Hackney's St John-at-Hackney Church - more tickets were recently released for all shows! And, just added to the already chock-full schedule are Keane's songwriting/ singing duo Tim Rice-Oxley and Tom Chaplin - playing on the Sunday alongside Amy MacDonald. Gary Barlow (Monday - £50), Olly Murs (Tuesday - £35), Richard Hawley (Wednesday - £25), The Maccabees (Friday - £35), Noah and the Whale (Saturday- £25) and Amy MacDonald (Sunday - £35) are all available now for as long as stocks last - so get clicking! Note: Tom Odell will replace Daughter on the Saturday gig with Noah and the Whale. Little Noise Sessions is fast becoming one of the capital's most important music events of the autumn, important for two reasons. The main one is Mencap, the leading charity working with people with learning disabilities, as well as their carers and families. The organization seeks to redress the inequality experienced by less able citizens around the UK and, in light of this year's focus on the terrific Paralympics, there's never been a better time to give everyone a chance in society, right? The second reason is the music itself. Year after year, the line-up grows stronger (last year's included Elbow, Coldplay's Chris Martin and Jonny Buckland, Example, Ed Sheeran, Ben Howard and more). Get involved. 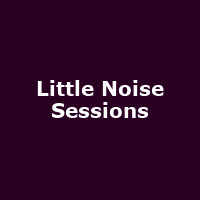 All proceeds from Little Noise Sessions goes to Mencap in their bid to fight prejudice, provide support and raise awareness. If you can't make the shows and you want to donate, head to www.mencap.co.uk for details or you can simply text "LTNS £5" to 70070 to donate £5. Since writing, the new batch of tickets has now sold out for all but the final gig, featuring Amy MacDonald which has just a handful remaining at £35.